I got this recipe idea from the website, 'Love bakes good cakes'. 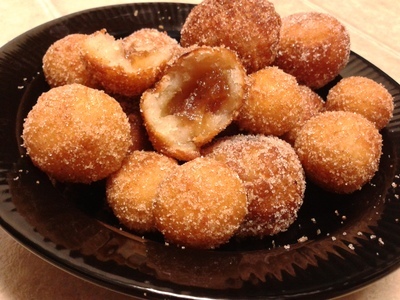 These poppers are very easy to make. The cinnamon flavor makes it more delicious. 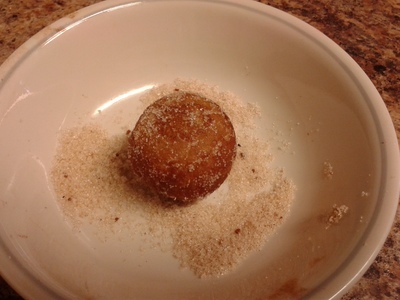 Mix 1/2 cup sugar and cinnamon in a bowl and keep aside. 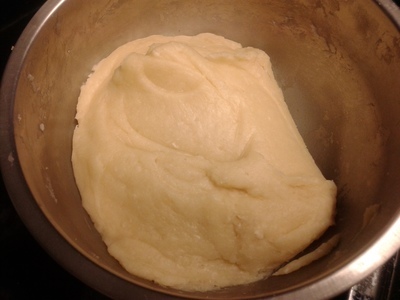 Then mix water, salt, sugar and ghee in a bowl. Boil this mixture over medium heat. Then switch off the flame. 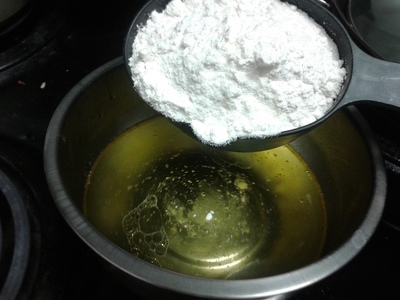 Add a little flour, a bit at a time, into the mix. 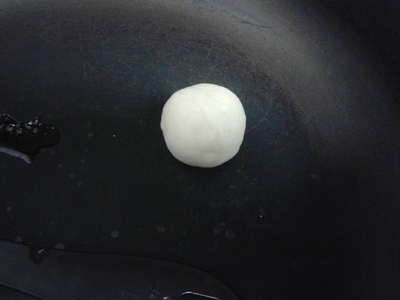 Stir continuously until it forms a ball. 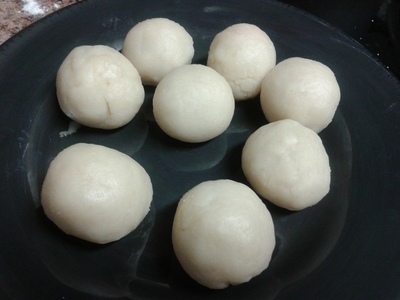 When the dough is cool enough, make 15 small balls. Press the center of the ball inward to form a cup. 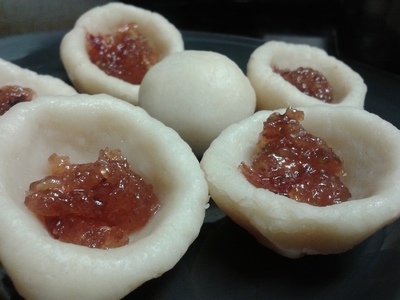 Add 1/2 tsp of jam into the cup. Seal and close the cup to form a ball. The ball must not have any cracks. Heat the oil in a deep bottom pan. Fry the balls over medium heat until golden brown. 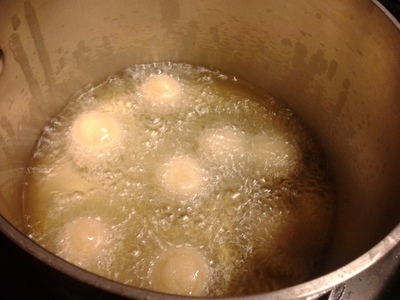 Then remove from oil and roll the balls one by one in cinnamon - sugar mix.